Direct from Hawaii, Wai Mauna Asheville SUP Tours (pic above) is definitely the expert on stand up paddleboards with the only guided SUP tours in town. 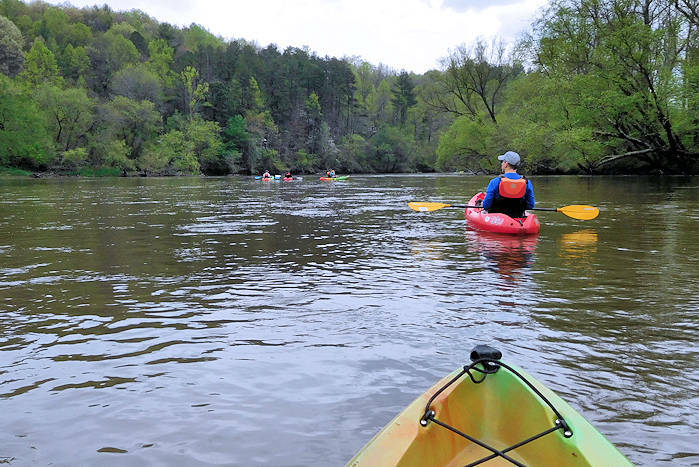 Paddle a 4-mile or 7-mile scenic trip downstream on the French Broad River through Biltmore and Asheville. Your certified instructor will even take some photos of you for a great souvenir. We especially like their "Dawn Patrol" and sunset trips. Also, you can book a self-guided trip with a shuttle or get private lessons. Their 6-person SUP is a lot of fun with friends. In Hawaiian, the name "Wai Mauna" translates as "mountain water". Their stable boards are designed by the Maui-based paddler credited with starting the sport. Their tours emobody the friendly aloha spirit. Looking for a paddleboard rental and delivery to your lake house? 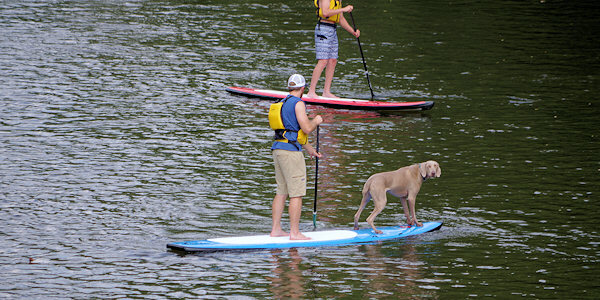 Their sister company, Asheville Paddleboard Delivery brings them to your door. Go to their Web site. 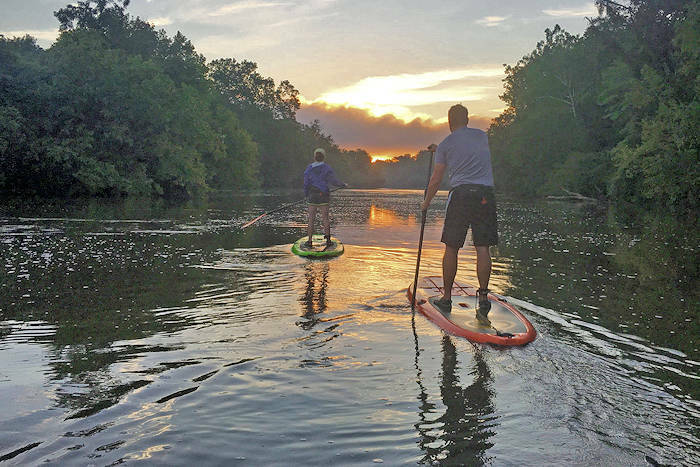 At Asheville Outdoor Center and French Broad Outfitters, book a SUP and shuttle for a variety of self-guided trips on the French Broad River in Asheville, ranging from a couple of miles to a seven-mile trek through Biltmore Estate. After you ride the shuttle up river, you'll paddle downstream to their riverside locations. 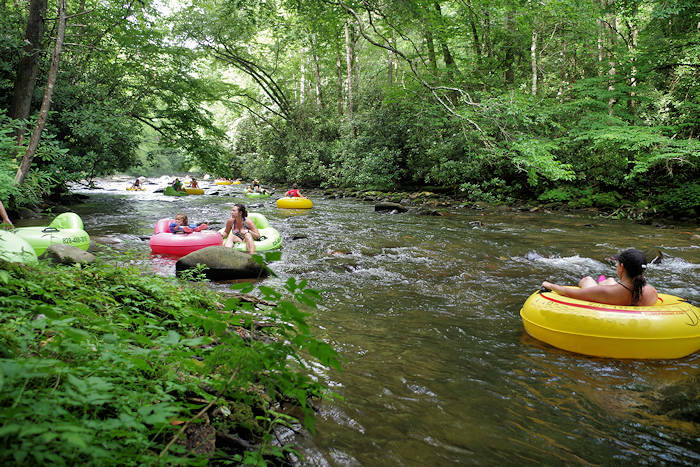 At Bryson City Outdoors in downtown Bryson City in the Great Smoky Mountains, paddleboard down the Tuckasegee River through downtown Bryson City or head to nearby Fontana Lake. Also, check out their sunset and sunrise guided tours that offer both instruction and adventure. Go to their Web site. 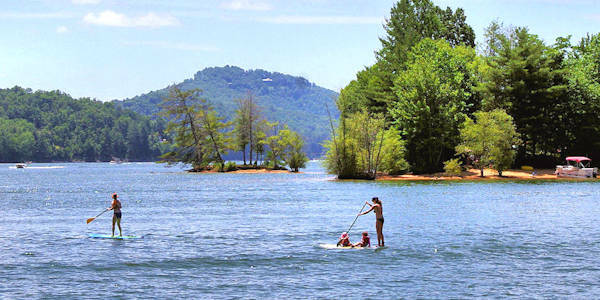 Also near Bryson City, the Nantanhala Outdoor Center along the river offers stand up paddleboard rental for exploring adjacent Fontana Lake that includes paddling to the 100-foot Bird Falls. Explore quiet coves or even do a little fishing! From the NOC campus, take a short walk to the shores of the lake to get an orientation and start paddling. Read more about NOC. Stop at Signal Ridge Marina to rent a SUP to explore the highest lake in eastern USA - complete with waterfalls and islands to explore. 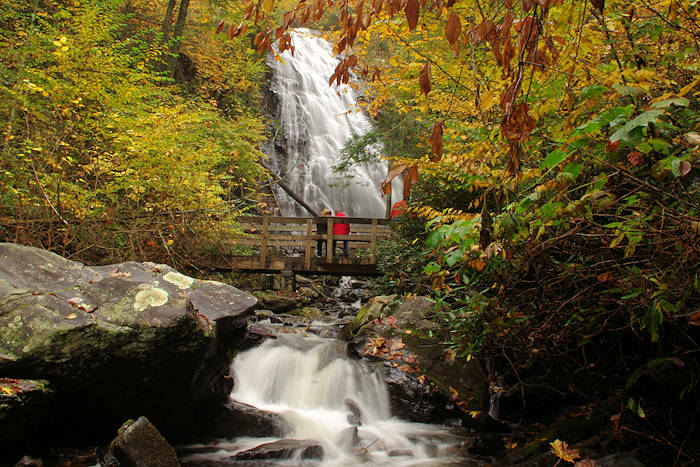 See our Lake Glenville Guide.